Home > Interview Communication > Writing an Effective C.V.
Having found the ideal job, you’ve dusted down your CV only to find that its vital signs are weak. So how can you make it spring into life in the lap of the recruiter? With most advertised jobs of any promise massively oversubscribed, you can’t sit back and hope the recruiter browsing your CV stumbles over your degree in Communications or two years accounting experience and is suitably wowed into requesting an interview. Your CV has to do the hard work - grabbing their attention and then rapidly firing off why you are perfect for this role. So how do you go about giving your CV a bit of punch? Make sure you CV is short and to the point. If a recruiter has hundreds of applications to wade through then they’re not going to waste time searching for your suitability for the job, they want it slap, bang in front of them. You may have pages of experience to offer but what would be more impressive is how well you can edit that into two clear and concise pages at the very most. In keeping your CV clear and concise you should pay careful attention to its appearance. The text should be easy to read, so a sans serif font like Arial or Verdana is recommended, and a size of between 9 and 12 points. Formatting should be minimal and purposeful – the numerous fancy fonts, colours and other graphic embellishments are largely unnecessary and bold and italics should be used sparingly. Whether you’re sending your CV by post or not, it should be available as a hard copy so you can take it along to an interview. Such copies should be printed on good quality paper that is coloured to aid easy reading, such as white, off-white or cream. The paper of your cover letters and envelopes should match that of your CV. There are two main ways to organise your CV, either functional or chronological.The chronological style arranges your work history and relevant duties in reverse chronological order and is perhaps the most familiar to most people. This style is best suited to graduates who show a more natural education and employment career path. The functional CV groups your skills, achievements and responsibilities into categories and then briefly lists your previous job positions at the bottom. This style is ideal for those changing careers who want de-emphasise gaps in their employment history or absence of direct experience. 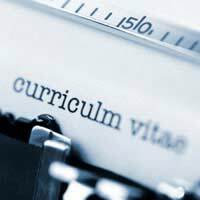 A chronological CV should be grouped into concise and relevant sections that focus, for starters, on your work experience, education and skills. Other categories could include computer skills, language skills, volunteer experience or publications. Together they should combine to communicate your various accomplishments. If you’ve recently graduated from university and not yet started on your career path then you should place your education section first. Otherwise it’s usually advisable to place your current employment first. Your CV text should be written using active language in order to give a punchy readability. For example, rather than start a sentence with a noun, you should use an active, descriptive, impressive verb. So instead of saying, “I was employed as…” you would write, “Employed as…” and in other instances you might say, “Organised a…” or “Assisted with…” for example. Many experts recommend that your CV takes full advantage of your number power. Percentages, amounts and figures can be used in your job descriptions to support your achievements and give them a better impact. For example, how much money did your charity work help raise or by how much of sales increase was there under your management? Don’t be tempted to lie on your CV. It’s acceptable to exaggerate a little here and there or edit your experience a bit to appeal to a recruiter but it strongly advised to avoid deliberate mistruths about experience or qualifications are ill-advised. You will get found out sooner or later and it’s not worth the hassle. More and more employers are checking information such as exam results and qualifications more scrupulously now.